Help Nepal rehabilitate and restore quake-affected districts near Kathmandu, while also encouraging those affected to take ownership of housing reconstruction. On 25 April 2015, a magnitude 7.8 earthquake struck Nepal. Its epicenter was in the Gorkha District, approximately 80 km northwest of Kathmandu. The quake and its aftershocks caused loss of life and devastating damage to property. The official death toll was 8,702, and a further 22,303 people were injured. Approximately 500,000 houses were destroyed and another 260,000 badly damaged. The government of Nepal estimated the total economic damage at approximately US$7 billion, which has had a serious impact on Nepal’s economy. 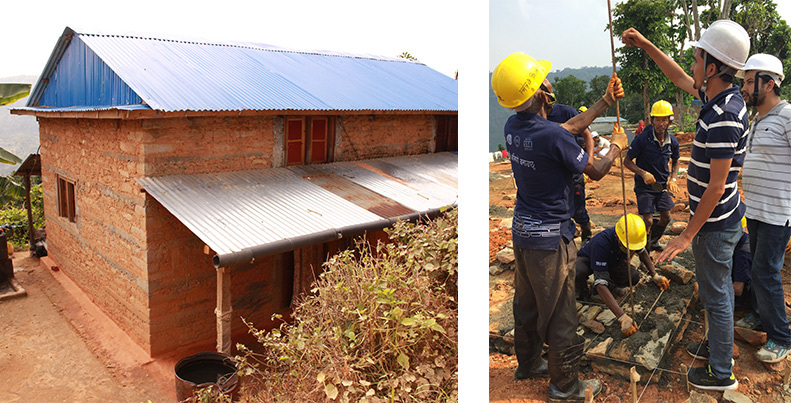 The Transitional Project Implementation Support for Emergency Reconstruction Projects (TPIS-ERP) provided support for the Emergency Housing Reconstruction Project (EHRP) and the Emergency School Reconstruction Project (ESRP) to assist with recovery efforts in the aftermath of the 2015 earthquake. OC Global’s suite of technical services is supporting these projects. One of the principles of the EHRP is “owner-driven construction,” meaning that earthquake victims are required to start housing reconstruction by themselves. Therefore, encouraging and motivating the victims is a major goal of the project. OC Global provided temporary housing relief, such as tents, before embarking on this project, which covered four outputs, to help Nepal in its recovery. 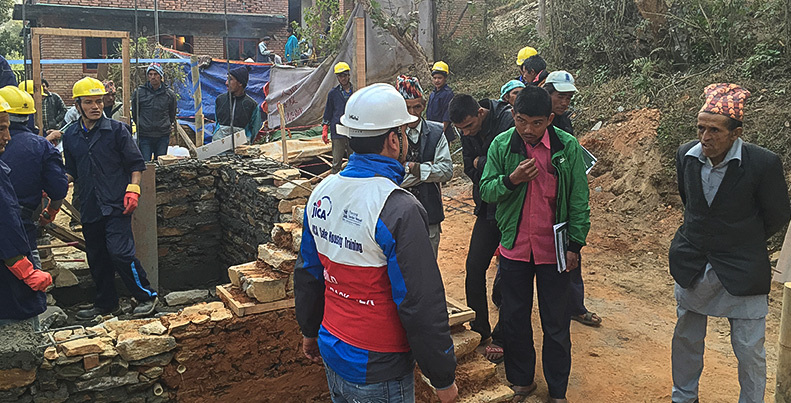 For the EHRP, OC Global is providing inclusive technical services such as development of earthquake-resilient standards, training of government engineers, training of masons, and orientation for earthquake victims. The Community Mobilization Program (CMP), one of several similar programs, was implemented in 2017 to accelerate housing reconstruction through mutual support within the community. OC Global’s work to support Nepal in the aftermath of the earthquake has led to a number of important results, accomplished through the outputs stated above. A rehabilitation and recovery plan for the affected district was put in place (Output 1); training videos were created for masons (Output 2); a hospital was designed (Output 3); women were trained in vegetable farming (Output 4). Further outputs are expected as the projects progress. The housing reconstruction start rate and housing grant distribution rate have increased since the CMP began in 2017. We aim to complete all housing reconstruction for the target beneficiaries, with thorough quality control and intensive support for vulnerable beneficiaries through the CMP.